Bing, Microsoft's new search engine, has had several weeks to prove its worth. It's proved popular, picking up market share from both Yahoo and Google to become the second most used search service on the web. But there's more to Bing than first meets the eye. Like Google, it has hidden depths and additional features. Here are ten useful bits of Bing you may have missed. Most of Bing's mash-up functionality is embedded in the US version of the site. You don't need an anonymised proxy - like hidemyass.com - to fool the site though. All you need to do is click the country link at the top right of the main page. In the UK it will say "United Kingdom" by default. Choose "United States" instead. Done. Using Bing Image search to find desktop wallpaper? Do your search by keyword, then click "Size > Wallpaper" in the sidebar. Not only is the search narrowed to desktop wallpapers - it's narrowed down to your computer monitor's current screen resolution. If it's set to 1280 x 1024, for example, it only returns images with those dimensions. 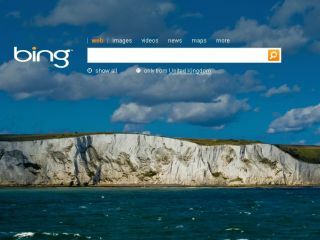 Bing's main search page has a background image embedded by default. Want a cleaner page? Step one: enter www.bing.com/?rb=0 in the address bar and hit return. Bing's front page now appears without any background clutter. Step two: drag the Bing favicon in the address box to your favourites or bookmarks bar. Next time you want to Bing something, click that link. Bing's all about simplicity, but it still does Boolean searches. With multiple keywords "AND" is inferred, but you can exclude terms from searches with - or NOT. For example "auction sites NOT ebay" will exclude eBay from your results. Like Google, using the + operator requires that the specified keyword appears in the page. You can also use "OR", for example "HD DVD OR Blu-Ray" will return results containing either search term. Like Google, Bing has built in smart algorithms for location data, word definitions, weight and currency conversion and even complex arithmetical calculations. Try "define computer" for a dictionary definition or "$20 into pounds" to sample Bing's conversion capabilities. Want to know the weather in your local area? Try the term "weather" followed by your nearest town or city. You can even search the status of specific flights. Just type "Flight status of ". You'll be prompted to enter a flight number. Bing goes even further - pulling data from partner sites in response to requests for statistical data. The query "What is the UK population" returns results from online census data, for example.